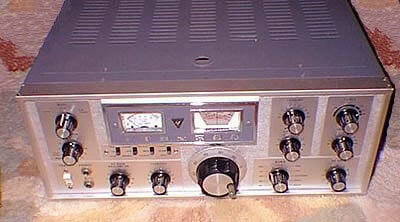 Although I never had a class-B license, my very first QSO was on VHF. A brief stint on 2m AM with a Heathkit HW30 preceded almost a year on 160m AM with a Codar AT5. It was not until some time later I realised that my first ever contact (G3WWR) was the father of one of the lads at school who had introduced me to the joys of electronics all those years before. 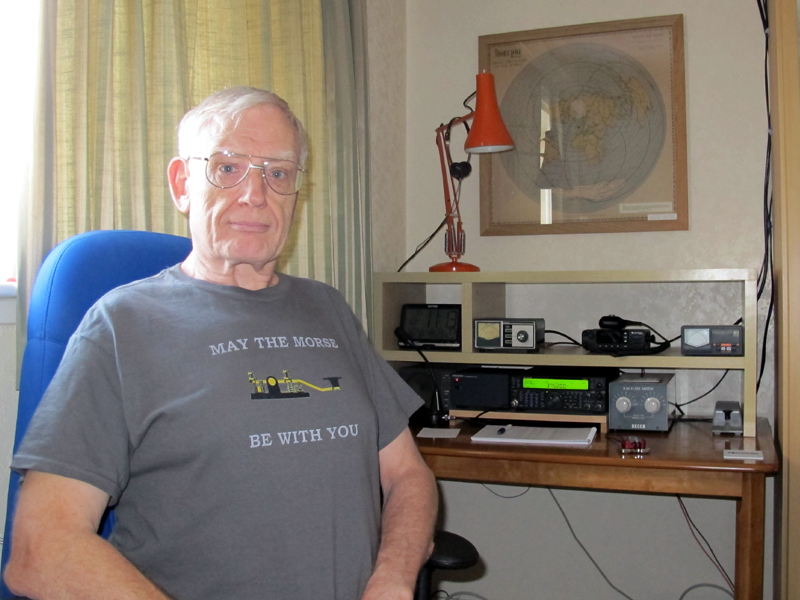 The arrival of a Yaesu FTDX560 transceiver about a year later heralded a return to HF. A fact soon noticed by the local TV sets. 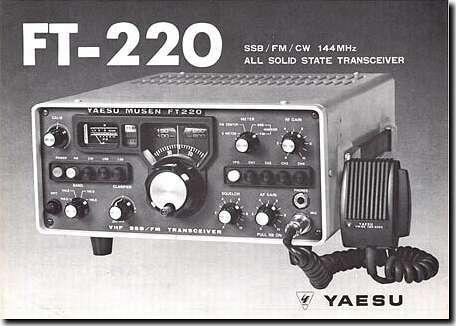 I did make a brief re-appearance on VHF in the mid 70's, initially using a Yaesu FT220 base station and later mobile, using a Trio TR2200, but I didn't keep either of them for long. HF was what held the real fascination for me. 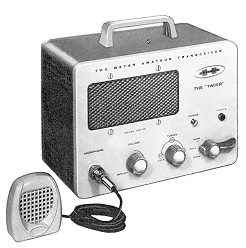 The FTDX560 was put to good use until November 1977 when I replaced it with a Trio TS520. 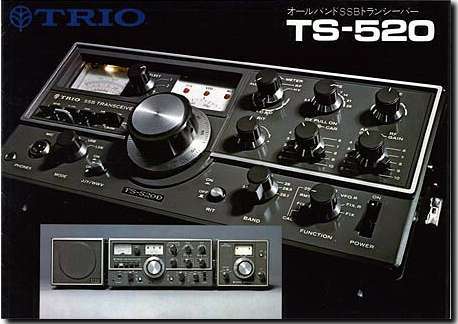 I'd probably still have it if G4JCP hadn't parted with his TS930 in 1984. Luckily it was one of the later ones so I have never had a minutes trouble with it. I still have it to this day, and I still think it is wonderful. I didn't touch a Morse key for a few years after first getting on the air, but a lengthy case of laryngitis in the mid 70's persuaded me to give Morse a serious try. These days I very rarely use anything else. After building a few electronic keyers in TTL logic during the late 70's, I bought a Junkers hand key. It is still going strong today. In 1987 I got hold of a low-band Pye Europa and made an appearance on 4m FM. 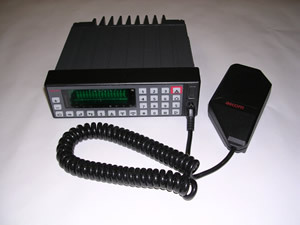 After a second change to the bandplan rendered a second pair of channel xtals pointless in May 2000, it had to wait until I was told about the now ubiquitous ASCOM SE550 synthesised rig by Gordon (G4DGM) before I reappeared on the band in October 2003. In May 2003 I took early retirement but have been surprised to find I seem to have even less time than I had when at work. Once your extended family realise you have "nothing to do all day", you find that you suddenly have. A house move in Sept 2006 presented me with a fair amount of DIY work but in the last couple of years I've started to be more active again. The w3dzz clone was replaced last year with an 84ft tuned doublet and so I'm able to get on all bands more easily. I used this aerial to great effect back in the 80's and it seems to work just as well here, although the local QRN has increased dramatically over the last 2 years so weak signal working is compromised somewhat. 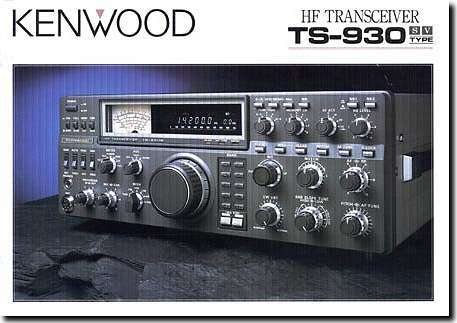 A TS2000 bought second-hand as a backup for the TS930. The idea being that if I had a backup the 930 will never fail. Its been in its box for 3 years now because I much prefer the ergonomics of the TS930. 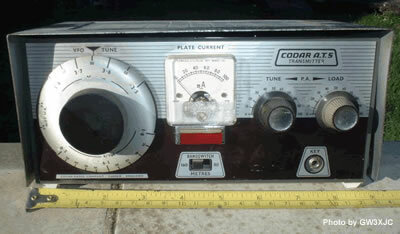 An FT8900 for local FM contacts. 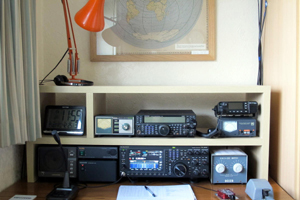 This qth is a great VHF site but wasted on me really because I've never been interested in VHF DXing. An FT60 for local contacts while out walking. A TS480sat arrived last year for use /A on holidays. The first outing was quite successful, so the intense preparations paid off. I produced an article about it for OTNews magazine, and you'll find a link to it on my articles page. The ts2000 was no longer needed so I sold it. In September of 2013 I finally replaced the ts930. After much consideration I settled on the ts590. This turned out to be a good choice. At the same time I decided to sell my ts490, ft8900, and Ascom se550 and replace them with an Icom ic7100. Selling them first turned out to be a bad move. The 7100 was faulty from day one. It became clear that Icom still have ongoing problems with the 7100 so I decided to opt for a refund rather than a replacement until such time as they get their act together. No sign of that happening any time soon though because when I subsequently emailed IcomUK to enquire, within 5 mins of sending the email I was called on the telephone by them and subjected to what felt like a face-chewing so I'm unlikely to touch the brand again. Early in 2015 I decided to try something completely different. Digital voice on VHF/UHF seemed to be popular so I bought a Motorola 4600 DRM to see for myself. Totally outside my comfort zone and a huge amount of background information to study. I still use it occasionally but I've yet to become enthusiastic about digital voice.